There is limited parking at the High School. Most parking will be at the Yale Lot on Whitney Avenue, about a mile from the school. Shuttle buses will be running; it is also a reasonable walk. 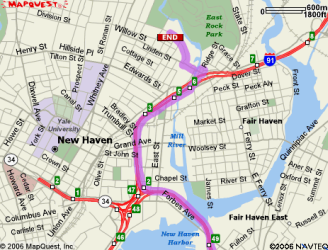 From the north, south, east, or west, take Interstate I-91 North or South to the Willow Street exit (Exit 6) (note if you are on I-91 North this is a left-hand exit). Take a right at the end of the ramp onto Willow Street. From Festival Site to Parking: Continue on Mitchell Drive (name changes to Cold Spring Street) to Whitney Ave. Turn left on Whitney Avenue, and go eight blocks to Humphry Street as above. Train: Amtrak and Metro-North serve the New Haven Union Station. 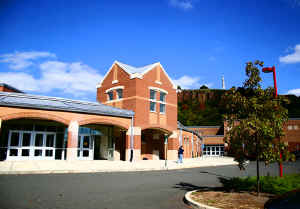 Wilbur Cross High School is about a 10-minute taxi ride from the station. 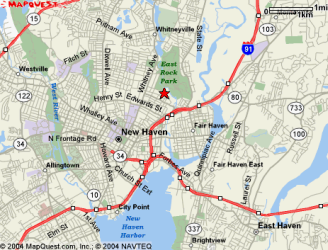 Bus: Please see the CT Transit website for bus schedule information. 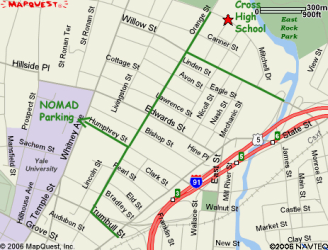 On Saturday, you can take the M bus from downtown (Church & Center) directly to Wilbur Cross High School; it runs about every 45 minutes during the daytime hours. On Sunday, the best bet is to take the J “Whitney Avenue” bus north along Whitney Avenue to Cold Spring, and then walk east about 4/10 miles to the High School (Cold Spring becomes Mitchell after a couple blocks. ); it runs about hourly during the daytime hours.